What’s it like to be one of America’s hottest chefs? A rundown of a typically atypical, very busy day leading up to the James Beard Awards. 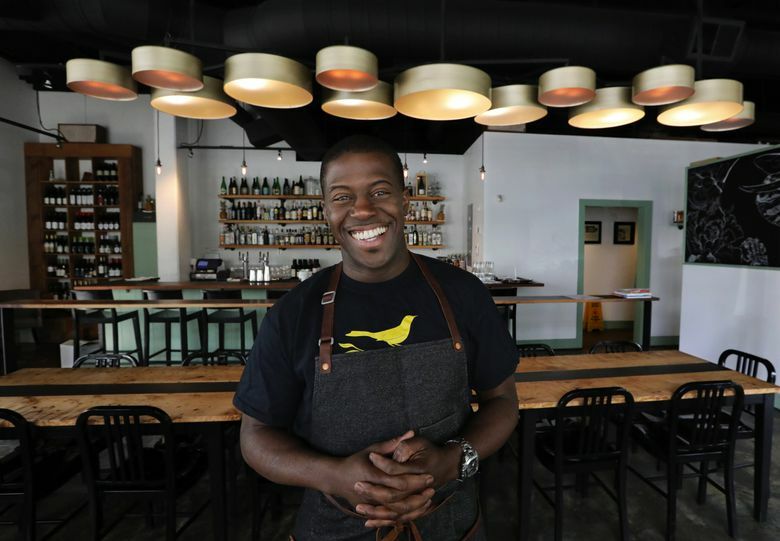 Edouardo Jordan looks like he’s sitting pretty with his wildly successful Seattle restaurants Salare and JuneBaby, plus a stack of awards with more, possibly, on the way. (He’ll find out if his life’s work is honored with the industry’s biggest — the James Beard Awards — on Monday.) 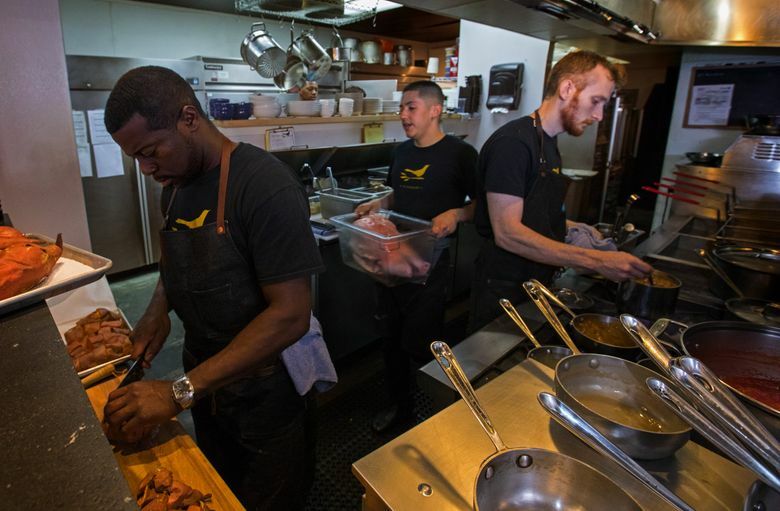 But the reality is that as a hands-on chef/owner (he and his team laughingly debate the term “control freak”), he’s rarely sitting. 6:30 a.m.: Time to get up. 9:30-noon: A trip to Home Depot for restaurant needs; a stop for balloons for JuneBaby’s anniversary, which happens to be today; a drive to Bellevue to get his tuxedo tailored for the James Beard Awards gala. Noon-2 p.m.: “Putting out fires” at both restaurants: No roux has been made at JuneBaby (“That’s like a brain fart”), an oven’s going bad, a 16-top at Salare will require a tasting menu, etc., etc. 2 p.m.: One of innumerable laps between Salare and JuneBaby, two blocks, to pick up some checks. He estimates he clocks at least 2 miles a day this way: “I’m nonstop-ish.” He has walked into dogs while checking email on his phone. 2:13 p.m.: Back at Salare: “Welcome to my office,” a table temporarily covered with messy stacks of papers, letters, ledgers, a laptop. Writing checks, paying the IRS, finessing the oven warranty, a call from his sister/business partner. Conducts interview with reporter (me). Phone chimes approximately every four minutes. 3:33 p.m.: Hones knife in Salare’s kitchen, starts making avocado crema for the staff meal/party later (duck tacos, Kobe beef hot dogs, burgers). Tries to worm out of a team member whether they’re considering a job at The French Laundry. 4:47 p.m.: Back at Salare, taste-tests a baby artichoke, Castelvetrano olive, clementine salad for tasting menu — needs more acid. 4:50 p.m.: More staff meal/party prep in Salare’s back kitchen, etc. 6:11 p.m.: Cooking on the line at Salare, though he said he wouldn’t be. 6:30 p.m.: Selfies with private party, presentation of tasting menu.